It is a sadly familiar story. The once-thriving British fishing industry now greatly reduced owing to EU fishing quotas, and, adding insult to injury, there are even regulations that require some fish to be thrown back into the sea. A news spot on Radio 4 recently showed Newlyn fishermen firmly behind Brexit. But this is the wrong conclusion: it attacks the EU at the time when the EU is acting to help the situation. The fundamental problem is over-fishing. The efficiency of fishing fleets went up in the last century and precipitated a problem. In narrowly-commercial terms, it pushed fish stocks into decline, which would have killed the fishing industry if there were not time them to rebuild. In environmental terms, this would have badly unbalanced the marine ecosystem. Reducing the level of fishing gives the ecosystem time to recover, and enables the fishing industry to have a sustainable future. 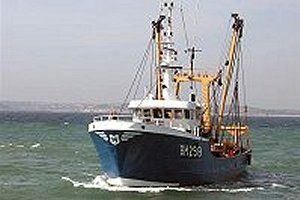 Regulations on nets are presented as frustrating, but the aim is to avoid trawlers catching anything other than mature fish of the species they after. It avoids over-fishing other species, and taking out fish too small to sell. The logic of forcing other fish to be put back is that it gives an incentive not to catch other things by mistake. Without the EU this would have been much harder to solve. It would have needed agreement of all the maritime nations in northern Europe. That would have been hard to achieve because each country has an incentive to have its own fishing industry facing fewer restrictions. The key bargaining counter would have been the threat of restricting other trade. That is not a recipe for good or fair agreement. Within the EU Common Fisheries Policy has provided a coherent way to engage with fishing, taking into account the environment, the fishing industry, and those it affects. The co-operative way the EU institutions work means that there is an incentive to find solutions that work for everyone. One of the functions of the EU structural funds is to help areas that lose out because of EU policy — which, in this case, means communities affected by the decline in fishing. There have had to be bilateral agreements between the EU and Norway, Iceland and the Faroe Islands, but the having most of the affected nations in the EU has helped greatly. By analogy with these three countries, we could expect to face very similar restructions to the ones we now have if we left the EU and sought a bilateral agreement. The oceans don’t respect national borders, and membership of the EU has enabled us to work together for the benefit of all. Catherine Bearder MEP has spoken of fishermen in Whitstable, who currently land their fish in France, and say the plan to vote to leave the EU. When she asked where they would land their fish then, they said “France”. The harsh reality is that they can land their fish in France because of the Single Market. If we were no longer in the EU there would be every reason for the French to help their fishing industry by making it harder for us to land fish there. Sadly the EU gets the blame because it has been the messenger bring bad news, not because what it has done has been wrong. And there has to be an awkward footnote. For all his bluster about putting British interests first, Nigel Farage’s attendance record as a member of the Fisheries Committee of the European parliament was apalling — attending just one out of 42 meetings. That is about silencing Britain’s voice. In the European Parliament, Liberal MEP Guy Verhofstadt went as far as to accuse Farage of “Cheating your own citizens” because of his inactivity on the Fisheries Committee. I can appreciate the frustration of people in the fishing industry. But the sad part is that, though they might be inclined to vote vent their anger by voting for Brexit, these are people who would lose out, by things becoming even worse, if we left.